I make my customers cry! Well, thank you, Lisa…you just did! 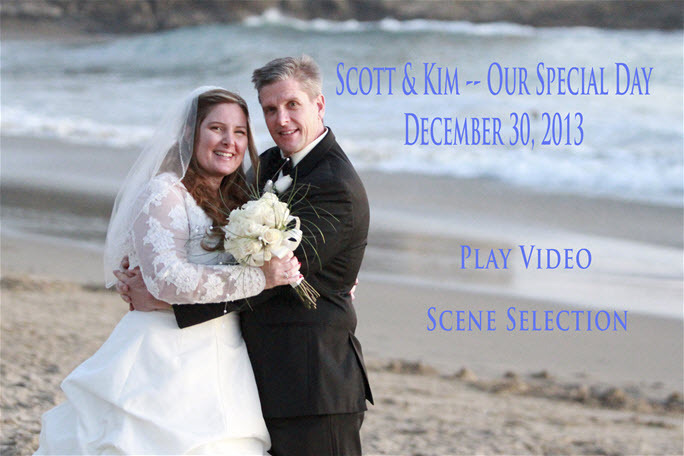 Yesterday, I delivered the final wedding video DVD to my friends Kim and Scott Timmins. In addition to the video of the ceremony and reception were slide shows of both. It was a monster project and the slide shows required keyframing of over 100 pictures to create the “Ken Burns” effect for each one. 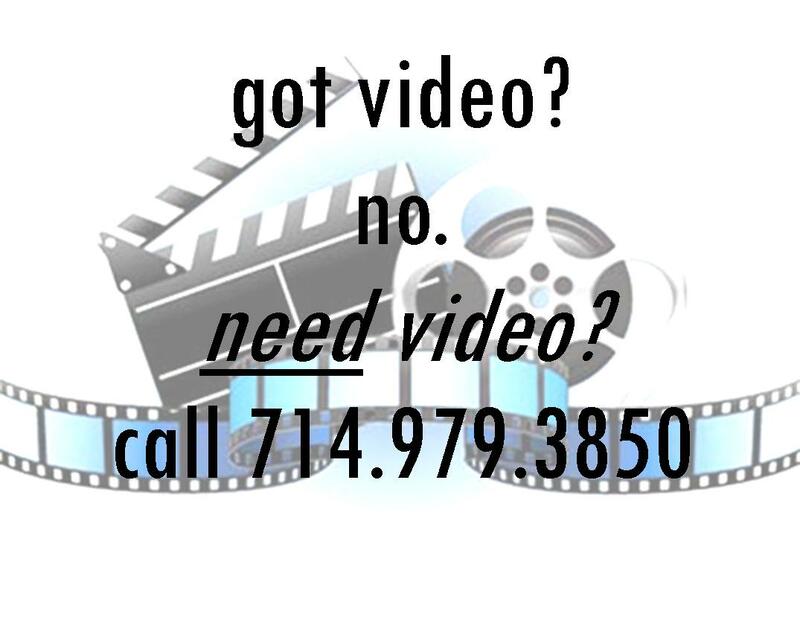 Feedback from the couple: “Just watched the video…it is AWESOME!! THANK YOU!! Can’t wait to show our family back east. Love it! Love it! !” And for added measure, they added the emoticon for a big smiley face! I guess you could call that a happy customer! Here’s a shot of me just before going to work. Weddings on the beach can be magnificent, but you get sand everywhere, so I have to use brushes and compressed air to remove the sand out of my gear! Wedding regrets…don’t have a few! So many brides told us they wished they’d sprung for a videographer, or given their wedding photographer more specific directions. Your wedding will be FULL of special moments – make sure you capture as many as possible! I reported about this in an earlier post, but more recent surveys suggest that this is a biggie! Wind, rain, and acts of God can seriously undo your hairdo. When you’re thinking about your wedding hairstyle, consider the locale, temperature, and time of year. Also, the week of/day of your wedding is not an optimum time to try exciting new beauty treatments. The same goes for the right manner of dress. Do you really want to wear that long flowing gown for a destination wedding on the beach in, say, Hawaii or Jamaica? And this isn’t gender specific. The groom, while nattily attired, should be equally comfortable and dressed appropriate to the location. What no one wants to have happen is to see hair, makeup and clothing turn into a sweaty mess over the course of the ceremony. Once it starts, you’ll have to see it through to the end! Whether you use the services of a wedding planner or not (especially if you don’t) it’s wise to think about a backup plan for things that can go sideways. A few years ago, I shot a wedding in a beautiful amphitheater that, unfortunately, sat immediately adjacent to Cal State Fullerton’s baseball field, where a game was in full progress. Imagine trying to conduct a wedding and right at a pivotal part of the ceremony, have it abruptly interrupted by the ‘clink’ of an aluminum bat followed by loud boisterous cheering! OOPS!! Or…you might think you’ve timed it right to have your wedding outdoors, taking into account weather patterns, temperature and humidity for the time of year. But what you didn’t think about was that enormous swarm of bees that were migrating right over the wedding venue!! OUCH!! The point here is obvious: be sure to at least give thought to a backup plan…just in case….! Three words, ladies: hair and makeup. Too many wedding timelines get derailed when brides don’t budget enough time for wedding prep. Don’t let the primping get the best of your special day! See #2. Oh, and grooms, this pertains to you, too. I recall a story told by a videographer friend who was shooting groom prep. The groom and his groomsmen all got dressed and after doing so decided that there was time to take another dip in the pool (at the private home where they were getting dressed)! After spending more time in the pool than they probably should have, there was then a mad scramble to get re-dressed and off to the church on time! So many brides felt their wedding suffered because they’d been prodded into letting friends handle important wedding services. 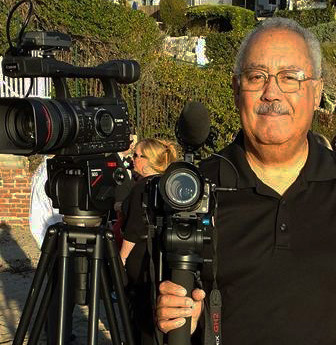 “Friendors” can be fab—if that’s what they do for a living…but if not, they can also be a big flop, and remember what I said in an earlier blog post about having friends shoot the wedding video. Do you really want to put a friend under that kind of pressure? So there you have it brides – wedding wisdom from real brides who have been to the altar and are now off on their journey as a new couple. 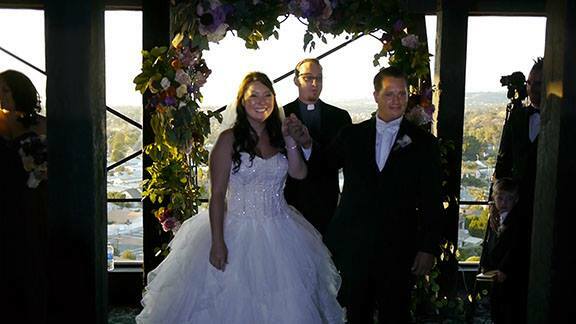 If you’ve recently wed, tell us – what would you have tweaked about your wedding?